In March you have the unique opportunity to study with an amazing yoga teacher, Joe Barnett. Joe, ERYT-500, has been teaching for over a decade. Joe’s main focus is Functional Anatomy for Yoga. He is a senior student and teaching assistant of Paul Grilley, a true Yoga Scientist responsible for the rise in popularity of Yin Yoga. After years of apprenticing under Paul, Joe began traveling internationally to train yoga teachers. When not training teachers, Joe’s play time is spent practicing, teaching and drawing others into AcroYoga. Yin Yoga is a simple practice. We settle into an asana for 3-7 minutes and slowly relax to allow the connective tissues to be stretched, stimulated and strengthened. The alignment rules are also simple: We listen to our bodies and lead ourselves into the shape that follows the natural contours of our spine, pelvis and hips. However, bringing ourselves into this simplicity, being still for minutes at a time, can be challenging. Listening to our bodies requires a power of discrimination. In this training, we will analyze, observe and practice all of these elements of Yin Yoga in depth. We will examine ourselves with ancient meditation techniques that guide us into a steady awareness. We will study with slides and by articulating the joints on a skeleton. But mostly, we will have an interactive, hands-on study and examine each other with anatomical range of motion (ROM) tests. The study culminates in a truer understanding of the infinite variety of human bodies, and the basic techniques to guide each Yin Yoga student with their unique skeletal structures into the appropriate asana for them. REGISTER NOW, you won’t regret it. 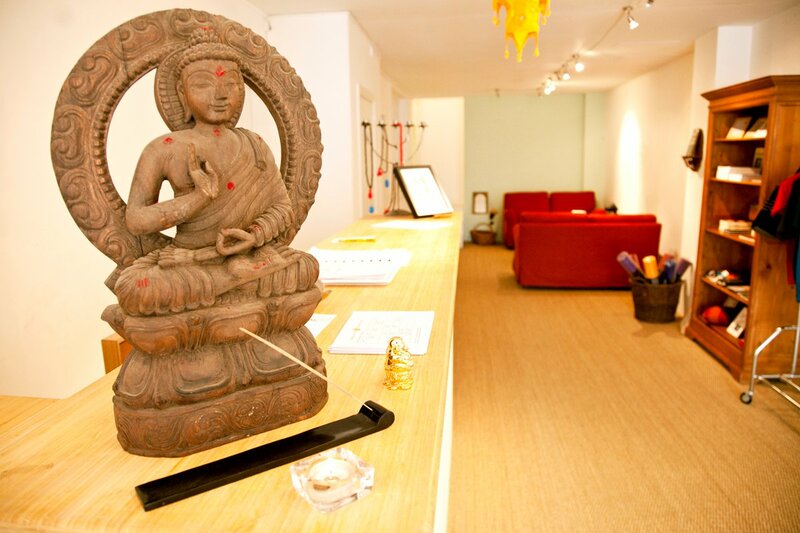 Categories: Sampoorna, Workshop, Yin yoga | Tags: joe barnett, TTC, workshop, yin | Permalink. My friend and fellow yogi Daniel from Melbourne, Oz, works for Workplace Yoga in Melbourne and they have just released this great video about their services. The movie shows you how important and beneficial it is to do yoga at work. If you care for your mental and physical wellbeing and that of your employees, organise yoga at work, it’s simple and affordable. Categories: Yoga classes | Tags: workplace | Permalink. The past 3 days I’ve spent learning about and practicing prenatal and postpartum yoga. 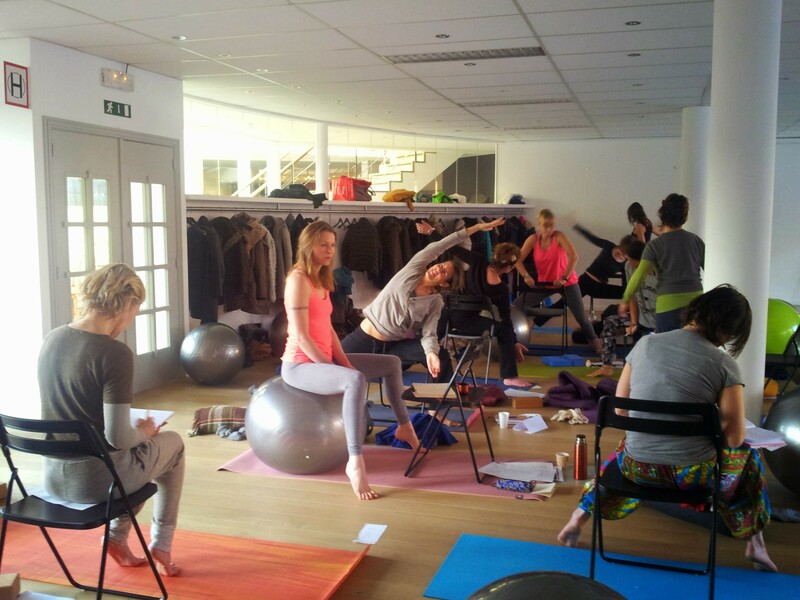 As a yoga teacher we get people with lots of different bodies and conditions in our classes. Pregnant ladies or young mothers can definitely do yoga, it’s actually very good to prepare for giving birth and to get back into shape (mentally & physically) after giving birth. However, there are several things to know about a pregnant body, one can’t simply do everything that one is used to as the body undergoes lots of changes and needs to protect the fetus. Hence, I’m extremely pleased to have been able to train with Carla these past 3 days. There was theory & practice, lots of laughing, getting to know the other students, yummy lunches by #Oups catering, sunshine and sharing. Next steps for me are to develop a class appropriate for each of the 3 trimesters of pregnancy and to teach a class to a pregnant lady. So if you are pregnant (or know a lady that is) & are based in Brussels, let me know, so we can arrange your free prenatal yoga class ! The 20 hour Prenatal Yoga Teacher Training offers already certified yoga teachers the opportunity to learn how to safely guide pregnant students through each trimester of pregnancy including the postpartum period. Learn to adapt yoga practice to support, nourish and honor the journey of pregnancy, as well as the benefits of practice and the contra indications. Teachers will explore the anatomy and physiology of the birth process alongside yogic philosophy in order to safely welcome pregnant students in their classes with confidence. Through sounding, relaxation, pranayama and modified asana, we engage techniques to harness the inner strength, focus and stability called for in childbirth and motherhood to promote health and well-being. 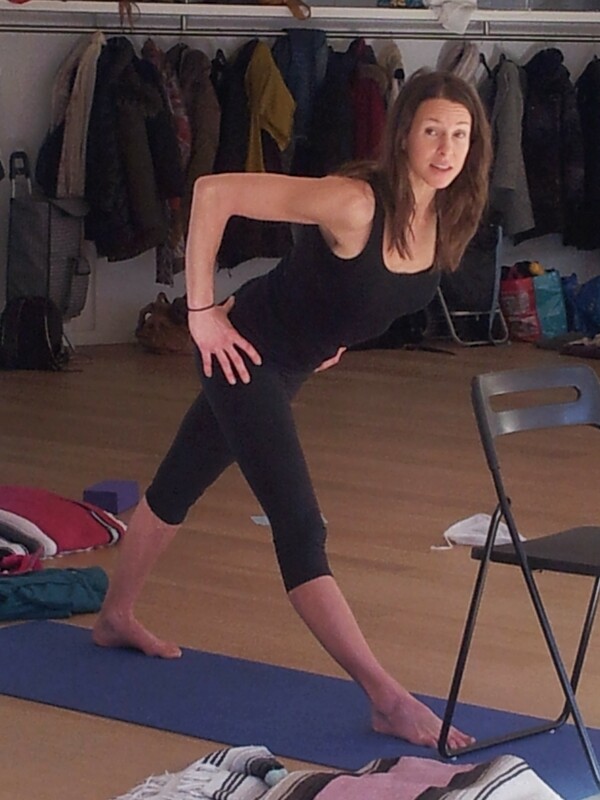 Carla Anselm (RYT 500, Doula) has been a student of yoga for over a decade. She began her training in 2001 at Shatki Yoga Center in New York City. Continuing her training within the Iyengar tradition, Carla completed François Raoult’s Essential Teacher Training and Advanced Teacher Training at Open Sky Yoga Center in 2007. In 2009, she was certified as an Advanced Restorative Yoga Teacher by Judith Lasater. Carla is also an experienced doula and prenatal yoga teacher. Filled with curiosity and the call to live her yoga practice with an authentic voice, Carla continues her studies with both François Raoult and Dr. Douglas Brooks. Categories: Workshop | Tags: postpartum, prenatal, teachers, TTC, workshop | Permalink.